This year is the fiftieth anniversary since man walked on the moon on July 20th 1969 and what better time to investigate Space Travel than being an astronaut. Michelle travelled to Huntsville in Alabama, known also as Rocket City since the early days of rocket development. There’s an Intriguing history to The Space and Rocket Centre. 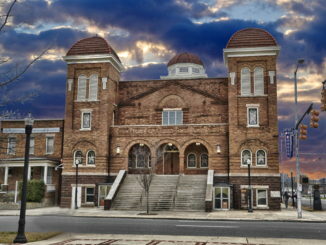 Located in northern Alabama it is also the first home to NASA. The site was used as a chemical weapons factory during WW11 and the land was deemed unsafe and hence made into a military base. Werhner Von Braun with 132 other German scientists were naturalized in to the US after the war in operation paperclip. He was the man responsible for the development of the V2 rocket and pops up all over the Space and Rocket centre. He was one of the most important scientist in the race for space. During the cold war it was the German scientists relocated to the USSR and the USA that fuelled the race in to space. There are ten NASA basis scattered across America but this was the original one. 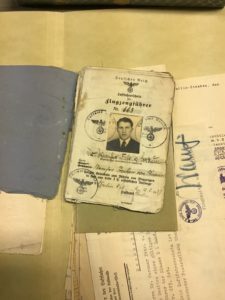 The Archives hold interesting and unique memorabilia such as Von Braun’s identity tag used during the Apollo mission and his dissertation on how to create a working rocket. Along with a host of space memorabilia from the fifties, sixties and seventies. Space Camp was founded in 1982 as a place for young people to go and learn about space exploration but more than that it’s about understanding team work and inspiring students to learn about the science of space travel. What happens when you arrive there? 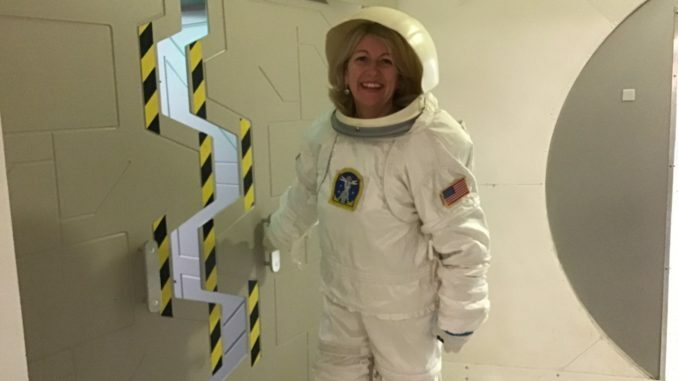 Space Camp for adults is similar to Space Camp for kids. 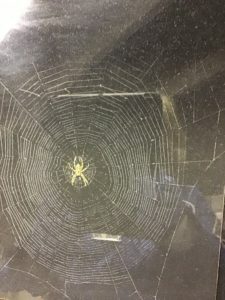 Imagine a place where you get to do all the cool stuff an astronaut does in simulators and use equipment that was used with the pioneers of space travel. First you get your bunk and are handed your bed-linen cling wrapped. There is a drink curfew so if you want to indulge at night you can stroll to the Marriot hotel next door. Next big decision is what to wear – you have the option of buying a flight suit. Dark blue so you look like you’re in uniform. Food is catered for in the canteen and lunches and dinners are themed by different countries who are involved in the International Space Station. You start quickly into the jam packed activities. We started off making a rocket from balsa wood and plastic. I was suspicious about them working but it was incredible to see them shoot off next day hundreds of feet into the air and return to earth with a parachute. We got to bring them home but as there were traces of gun-powder lodged inside I didn’t want to be stopped at the airport and left mine behind. Space Shuttle simulator – which I crashed on my second mission. Our team were all allocated jobs and as commander of the shuttle I realized that I’d taken on too much looking at the checklist. The inside of the cockpit was very realistic and we were kept busy. Orion Launch – The big news in space travel is the SLS the world’s largest rocket system and NASA hope to use it to take humans further than they have travelled and the ultimate prize is Mars. 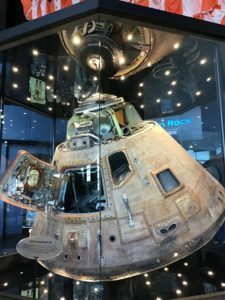 Artefacts include actual training equipment used by those on the Apollo 11 mission. 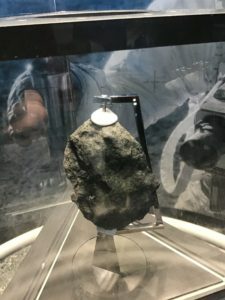 There is even a sample of moon rock and real size craft. 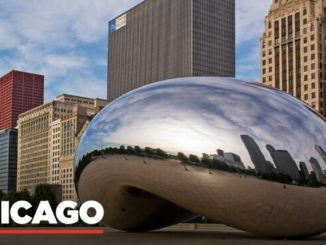 The planetarium shows movies to help understand the science of space travel from the history of Copernicus to more modern examples of scientific achievement. We spent part of one morning meeting Docents who worked in different parts of NASA and some are currently involved in designing improvement to the SLS. Also Theme park rides – If you want to experience 3.4 G force, the same as the launch of a rocket into space – then you can experience that on one of the rides. I literally felt my head and back stick to the wall behind me and was dizzy for a few minutes after. The group I was with were involved in team building out in the woods and we had to do all sorts of tasks such as walk a ravine over blocks of wood and move tennis balls from one bucket to another using only rope. 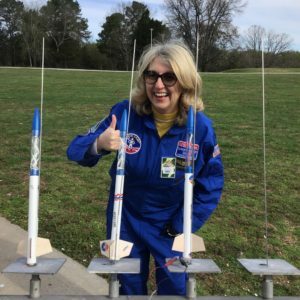 Since Space Camp started five of their alumni have flown into space, all of them women. On completion of the course everyone received a certificate and photo – one group was named most outstanding and given a special badge for achievement in the tasks. 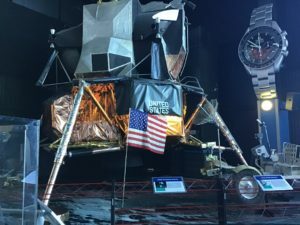 As if that weren’t enough while you’re at the Rocket Center, you’ll get a birds-eye view of Space Camp where more than 750,000 students (and adults) have conducted simulated missions.